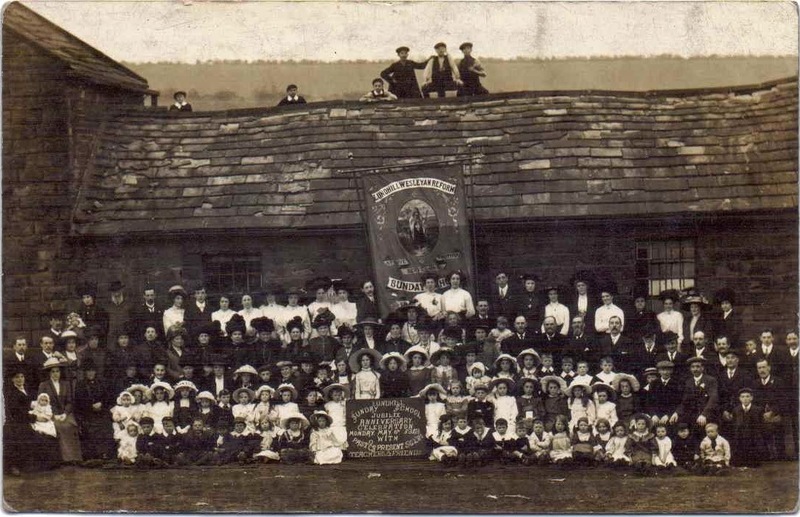 The Methodist Chapel, the adjacent Sunday School, which had been the stables of the old colliery, and the hamlet in which they stood were apparently demolished and dumped down the pit shaft when it closed. Note in the map snip above that a War Memorial is indicated in the vicinity of the Sunday School - is this the tablet above or yet another missing memorial? The Lundhill Tavern pub still stands but the A6195 runs very close to the site of the houses. 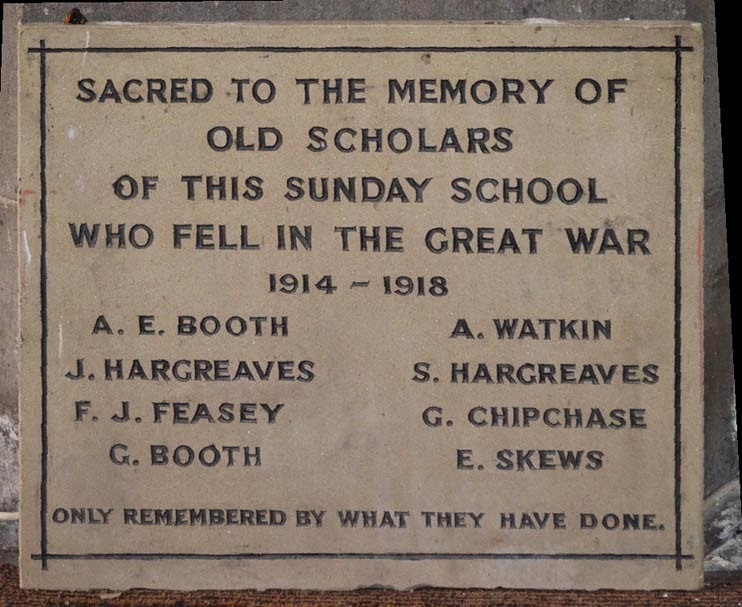 Sacred to the Memory of Old Scholars of this Sunday School who Fell in the Great War 1914-1918 [names] Only Remembered By What They Have Done. Where further information on a name has been researched by our volunteers it will be linked here (look for the names in blue) to a page on this site or to an external site. All these names are also listed on the Wombwell War Memorial at St Mary's Church. Hello all. My Grandad was born at 118 Blythe St, Wombwell in 1909, along with other siblings before moving to 5 Edward Street. His Parents were William H Lindley and Annie Lindley (nee Booth) all local people. I see there are two Booth's listed on this memorial. I would like to find out if they are my family. Does anyone know where I can find out more information about this post. I can be emailed at dhklindley@outlook.com. Would appreciate any help. Thank you very much.